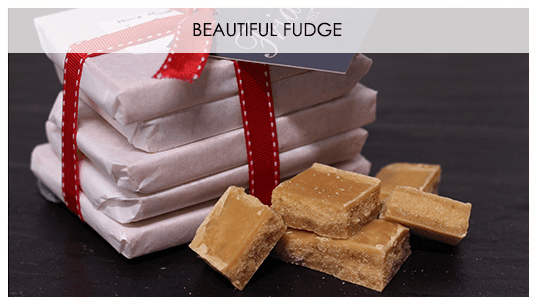 Christmas is our favorite time of the year here at Friars, so we got a bit excited and have only gone and put some products on our website! 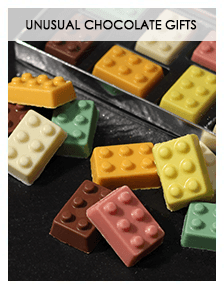 Here’s a peak at some of our favourites; go on, have a look, we won’t tell if you don’t. 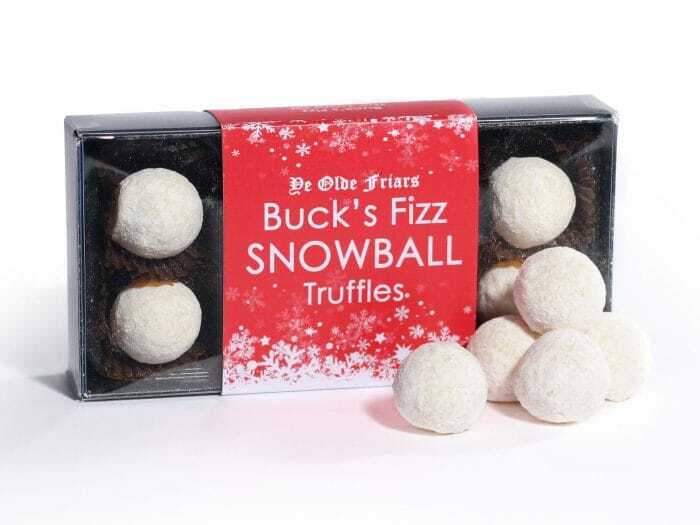 Buck’s fizz at Christmas is one of the great traditions, here at Friars we have given it a new lease of life with our buck’s fizz snowball truffles, a must try this Christmas. 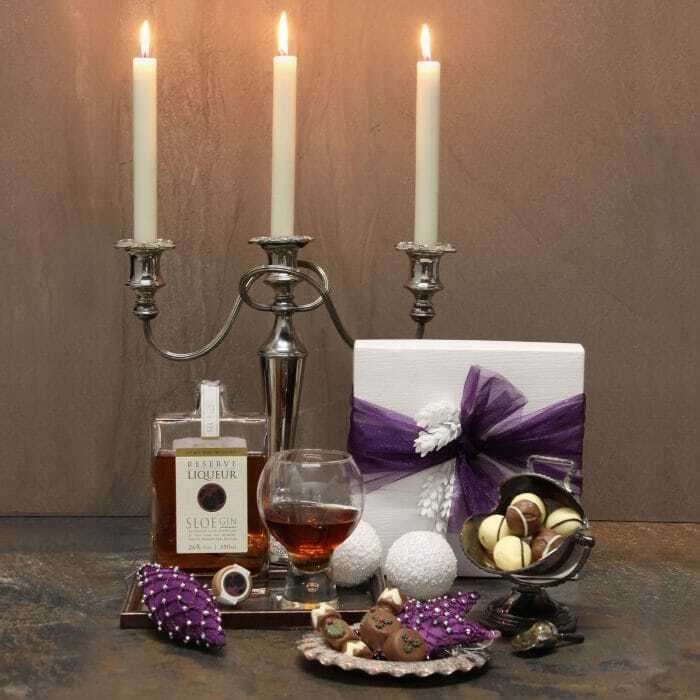 Our exclusive luxury sloe gin gift box is perfect for gin and chocolate lovers alike. 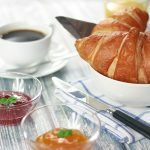 Lyme Bay sloe gin is homemade in Devon’s beautiful Axe Valley, where it is carefully produced in small, unique batches by a dedicated independent winery. 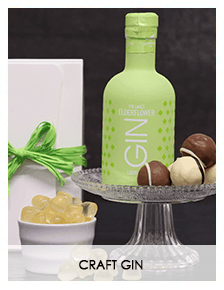 London gin mixed with fresh local sloe berries which are added to the gin while frozen to draw out the best colour and flavour; making this sloe gin a spectacular taste sensation. 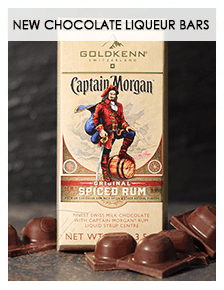 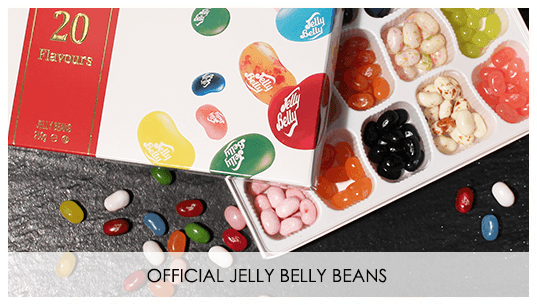 Along with a selection of chocolate treats, what could be better than this? 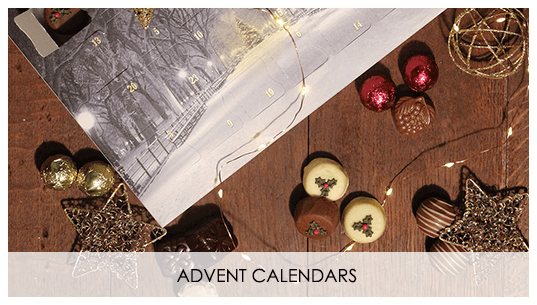 A gorgeous selection of festive chocolates, made with only the finest ingredients. 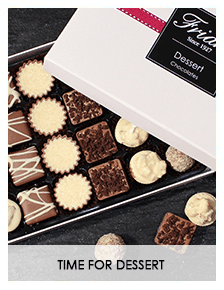 Indulge in festive flavours including rum, Champagne, mulled wine and caramel; combined with deliciously rich milk, dark and white chocolate. 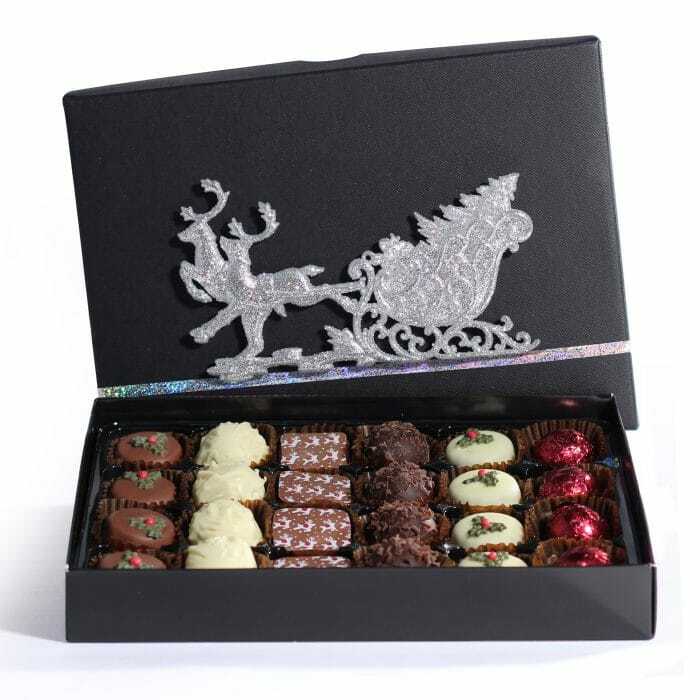 Box comes embellished with a beautiful sledge decoration which you can use once the chocolates have gone! 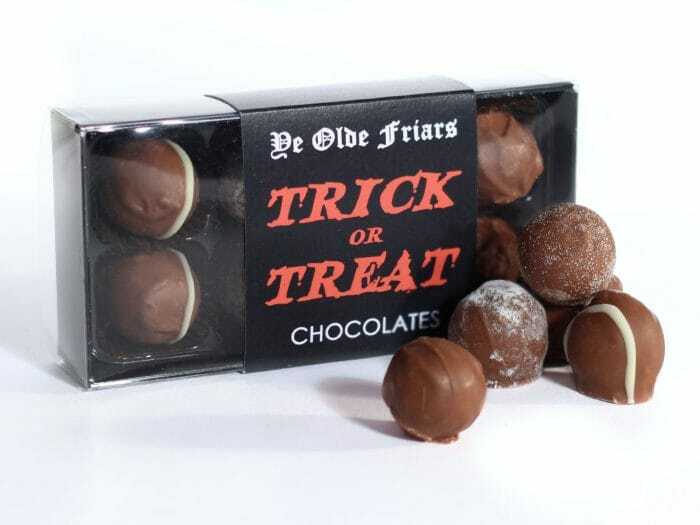 Hand-made milk chocolate trick or treat truffles with a wicked side! 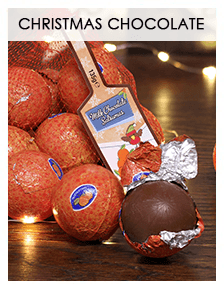 Four types of truffle with either a sweet or feisty flavour … Dare to compare and see if it’s a trick or a treat!